Welcome to Verve's August Release Retrospective Blog Hop! 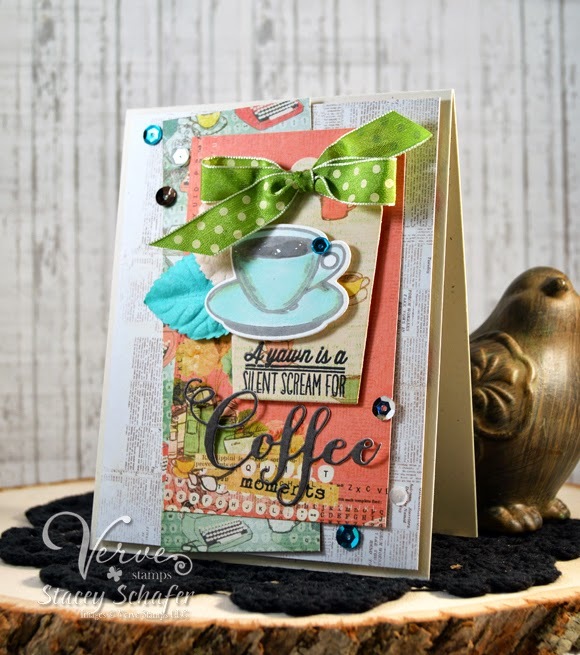 The Verve Divas are hopping today and serving up some more inspiration using the August release stamps & dies! Besides a peek at some really cool cards, there are also a couple of prizes up for grabs! Want another chance to win? Now it's your turn! We'd LOVE to see what you've done with the August release. Link up your cards using at least one product from our August release and you'll be entered in a drawing to win our entire next release! 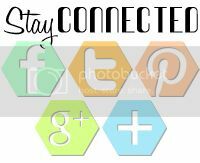 All the details and the linkup widget are on the Verve Blog today. The deadline is October 3, so there's still plenty of time to get the August release if you haven't already. The last two Viva la Verve challenges came into play for my card today! The newest Verve release was my all-time favorite (though, I think I say that every time)! Coffee! I LOVE Coffee and have many friends that do also...so the Coffee stamp set is a must-have...and it's coordinating Cuppa Joe Die Set and Coffee Word Die! The Sweet Scallop Die displays the coffee cup and sentiment ever so nicely, and the Polka Dot Ribbon Collection and Signature Sequin Mix became the finishing touches! Great card. Love the colors and cute sentiment. Awesome card! Love the fun sentiment and such lovely layers, cute bow! Very pretty card - love the layers, the sequins, the bow and the cute coffee cup. Ohhh I Love this card!! The sentiment is too cute, love the coffee diecut!! The best part is the lovely mixture of colors & papers..I could never pull that off but you've done it beautifully!! Love coffee sets and that coffee word is great!! Great use of that coffee set! Now I want some LOL! Your card is gorgeous. I just love the new coffee goodies! Beautiful coffee card and great use of the sketch. I love the scattered sequins and the "coffee" die cut. What a fun card. I totally agree with the sentiment. Well done. Really cute card. Happy colors and that sentiment is hilarious. What a darling sentiment! Love your bright layers and the teal leaf! What a great card! I love all of the lovely layers and that sentiment couldn't be more true! Lovely colourful card as always. Great. So pretty Stacey. Love the colors and the sketch. The sequins look perfect. sweet card....love the embellishments with the leaves and bow. Stacey your card is so CUTE. Thanks for sharing. Great use of embellishments on this card. Very pretty. I really like all the elements you added to this card. That sentiment really makes me smile. great paper combo and die. very awesome again stacey! What a great mix of colors and patterns! This really pops! Very pretty--I like the layers. I like all the fun papers you chose for this card! Great card. Awesome layered and patterned papers. Love this fun sentiment - too true. Love the colors on your pretty card!! Stacey, I just LOVE this! Gorgeous card!